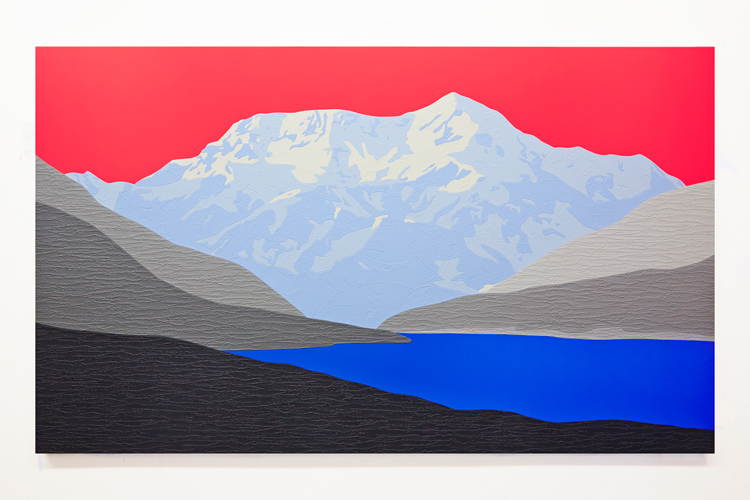 Tabish Khan: I first encountered your work at your last major solo show in 2012 [Paramour, Halcyon Gallery]. What would you say has changed since then? 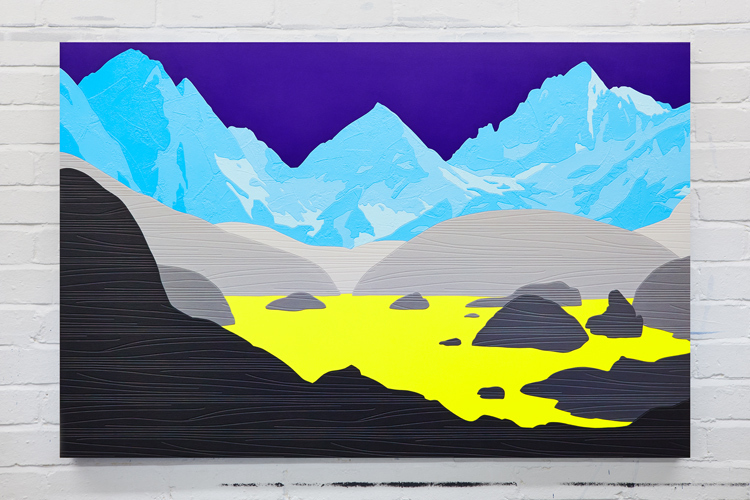 David Wightman: My paintings have become brighter, bolder, and far more varied. My earlier work explored geometric abstraction and landscape as two separate ideas - this was still evident in Paramour where you first saw my work. With EMPIRE, the abstract qualities I was previously interested in have been completely absorbed into my landscape paintings. My new work has an emphasis on these abstract concerns: colour, texture, and composition. TK: Do you have any tips for artists seeking gallery representation? DW: Say Yes to opportunities to show as widely as possible, always carry business cards, follow up anyone who shows an interest in your work, and be punctual - both in person and with your communication. Visit a variety of art fairs to see how different galleries operate and, most importantly, take your time in approaching and fostering relationships with galleries. TK: Your landscapes are fictional - how do you come up with them? DW: My earliest landscape paintings were based on real places. Very quickly I found myself editing and combining elements from various sources to create new compositions. It was a short step from composite landscapes to fictional ones. Creating my own compositions is far more satisfying and, interestingly, also more in keeping with the tradition of landscape painting. Although my landscapes are imaginary, I want them to be believable; I want people to ask where they are. 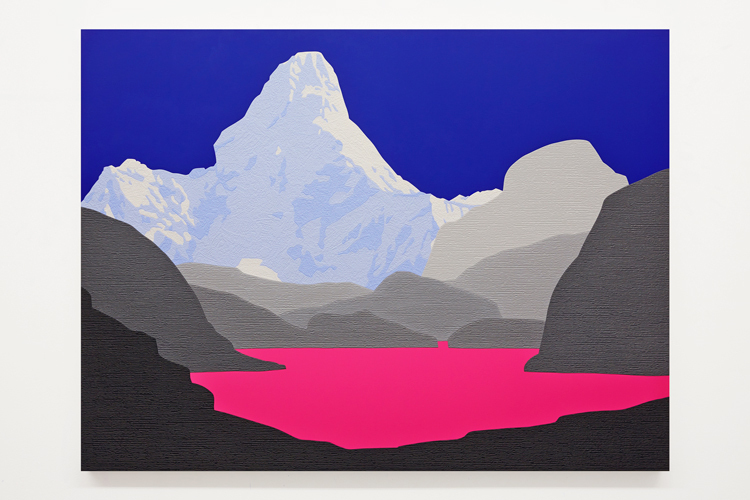 TK: Landscape has largely fallen out-of-favour in terms of contemporary art - do you think your work makes sense in today’s art world which is more focused on the conceptual? DW: Although landscape as a genre has fallen out-of-favour, my use of colour and my unique approach to creating paintings makes my work contemporary. Conceptualism screams the loudest in art news, however, I still think skill-based paintings are recognised, contemplated, and appreciated. I make work to be loved and admired. I’ve avoided being on-trend my entire career. TK: You’ve created a unique way of creating paintings using collaged wallpaper. How did you come to invent this technique? DW: The collaging technique I’ve invented is similar to marquetry and paper cut-outs. I’m often asked whether I’ve resurrected an ancient and forgotten craft. The truth is: I slowly developed this process after finding a roll of wallpaper in a store room at art college. The pattern reminded me of home so I wanted to use it in my work. Years of experimentation have led to my signature style of carefully hand-cut and collaged wallpaper compositions. It’s difficult to explain the process but it involves hours of tracing, hundreds of surgical scalpels per painting, and many rolls of wallpaper. TK: What can we expect from your new show EMPIRE? DW: A variety of beautiful and fictional landscapes featuring pastel-hued mountains, bright lakes, patterned hills, and candy-coloured waterfalls. 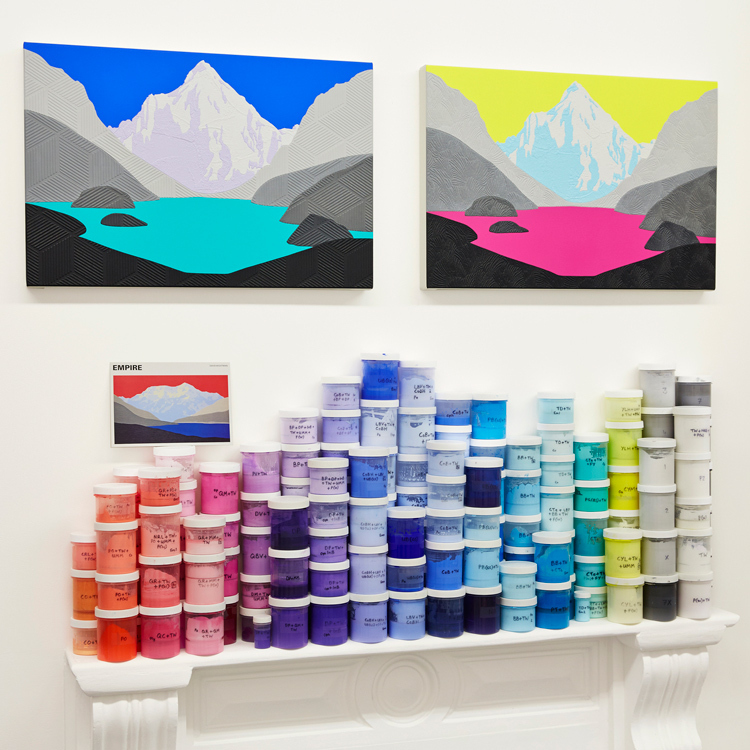 Colour and texture are the twin obsessions of my practice and both are in abundance in EMPIRE.